ORANJESTAD, WILLEMSTAD – The management of InselAir Aruba has to come up with a rescue plan for the company within two weeks, otherwise, the curator, Jeannot de Cuba, will pull out the plug. The curator will then advise the court to cancel the automatic stay and to declare the company bankrupt. This is stated in an 8-page report that’s in the hands of the Aruban news site NoticiaCla.com. 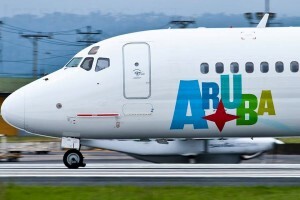 The report thus opens the way to declaring InselAir Aruba bankruptcy. This is in contradiction with the statement made by current director Stephan van Spaandonk in March. Then he reported that he had met with the airline's staff, where he had given them the good news of the automatic stay (protection against bankruptcy) and the rescue plan that would put the company back on the right track." As yet, there is (no) no rescue plan at all, according to De Cuba.